Click on the link above for a pdf of the booklet produced by the Dublin team. In 841 AD, the Annals of Ulster first record that there are “heathens still at Duiblinn”. This is the first historical mention of what would become the modern city of Dublin, and its origins as a Viking town are part of D ublin’s attraction and charm. 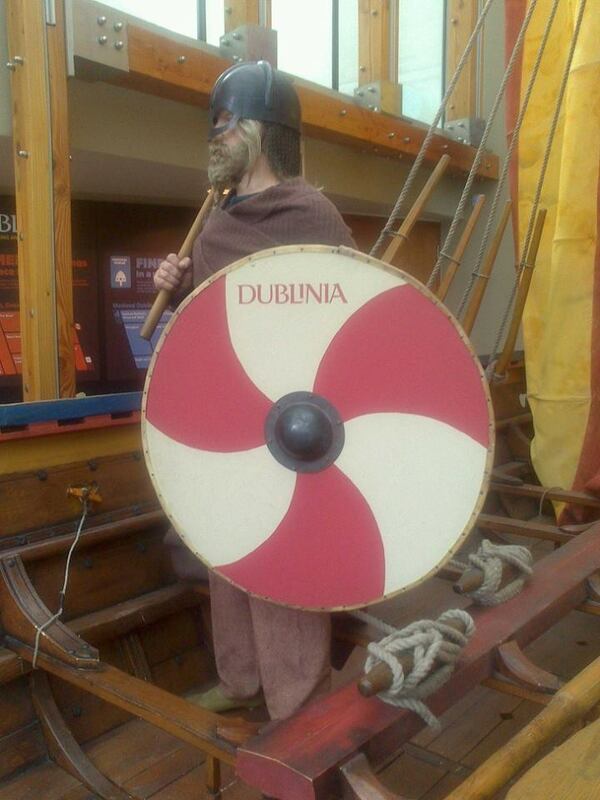 This Viking past is celebrated by both tourists and local people alike, and Dublin’s Vikings and their descendants, the Hiberno-Norse, are profiled in the National Museum of Ireland and Dublinia. However, despite decades of historical and archaeological investigations in Dublin, it is difficult to trace this Viking legacy in the modern cityscape. Our field-trip to Dublin will produce a hard-copy booklet of a walking tour of Viking and Hiberno-Norse Dublin that will uncover this hidden history. The target audience is families with children and the booklet will have to appeal to both ends of that spectrum. In addition, the field-trip will develop online materials that will become elements of a smartphone app to accompany the booklet, such as podcasts. Through lectures, museum visits, walking tours, and self-directed research, students will gain a detailed knowledge of Dublin’s Viking past and how to communicate with the interested public. The students will have a free hand to design the content of the booklet and the online elements themselves. Historians, archaeologists, museum curators, museum education officers, heritage officers, and digital-media specialists will meet with us to provide guidance and resources, and the overall programme will be led by Dr Rebecca Boyd and Dr Elizabeth Rowe, lecturer in Scandinavian History at the University of Cambridge. A bibliography of required and recommended readings will be supplied at the Cambridge workshop in January, as well as the interactive Medieval Dublin DVD.